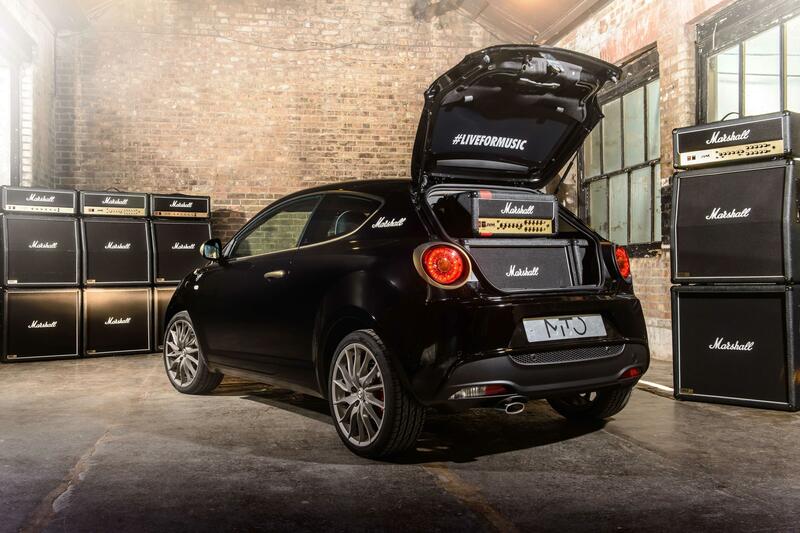 The unique Alfa MiTo By Marshall draws inspiration from the look and feel of Marshall’s iconic amplifier equipment and even features a powerful, custom-fitted Marshall JVM 50w amp head running two 12-inch 75w speakers installed in the boot space. The amplifier and speaker array is powered by a dedicated battery system. Guitar heroes simply need to open the boot, plug in a guitar and crank up the power. The model was being given its public debut at a special invitation-only screening of Dave Grohl’s Sound City documentary at Olympic Studios today featuring a live performance by Tim Burgess and Mark Collins of The Charlatans. It will then be exhibited at automotive and music events through the rest of 2014. 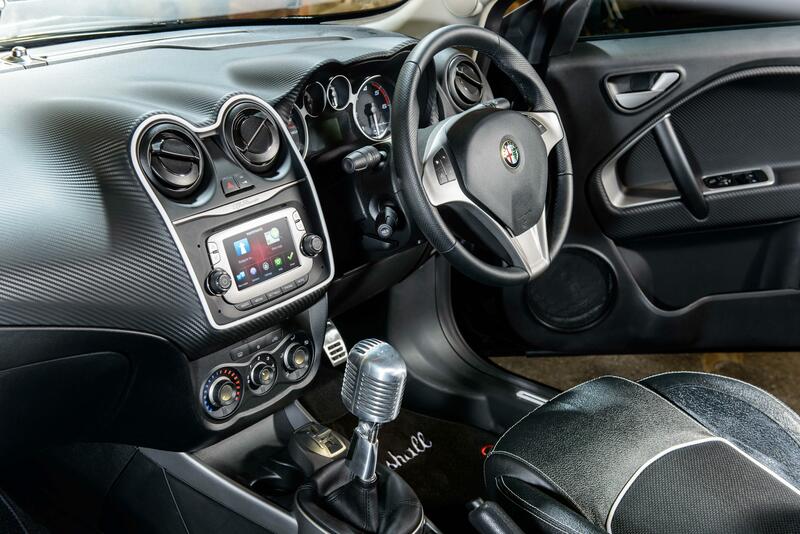 Inside, the Marshall styling continues with tread plates on the door sills, distinctive white piping around the dashboard’s centre console and the iconic gold panel finish on the Alfa D.N.A. Selector surround, as well as switch-gear for the air-conditioning and climate control.